40,000 Apps - What Does It Mean? 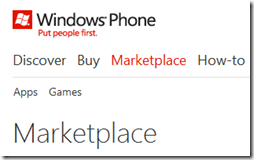 So the Windows Phone Marketplace hit 40K apps. What does it mean to the platform? There are a number of articles out there that talk about the 40,000 apps and compares them to other platforms but I think they are missing a key differentiator. Articles like the PC Magazine article point to the fact that Apple got to 50K in one year (faster than Microsoft) and that it took Android in 18 months (a tad slower than Microsoft). But to me the real remarkable news of this milestone isn’t the speed…it’s the size of the marketplace for that is astounding in my opinion. Note that is worldwide. Apple and Microsoft have better market share for the US market alone. Admittedly, I am invested in WP7 (book, classes, fandom, etc.) so I am apt to be excited by anything that improves our 1.5%. What excites me is that we got to 1.5% without Nokia. Nokia is an impressive brand…just not so much here. Where is it big? in 2/5ths of the world. When you look at China, India and Japan you find that those are monster markets. If Nokia even has mediocre success, that could change the balance. when you’re talking about 2.7 billion people. These three countries represent the 1st, 2nd and 10th biggest populations in the world. That’s 38% of the world population. I know that population numbers aren’t strictly indicative of market size, but when you’re talking about numbers this big, even a smaller percentage of users of phones in these countries (ignoring Japan in this case), we’re still talking about much larger markets than the US or Europe.